Happy Wednesday everyone! I was decluttering my email yesterday and came across an email that somehow I put in the wrong folder. Usually I’m pretty good at keeping the ones I need to keep organized but this one fell through the cracks. It happens! But I felt terrible, one you lovely readers sent in a great idea for a reader request, and because I mis-filed it, I never did get around to making this one. I’m happy to say that has all been corrected now. I don’t know about you, but I’m surprised I’ve gone this long without making one of these. I am horrible at remembering passwords. Especially with lovely features in my browser that save my user names and passwords for me. There are times though, when it won’t remember. I’m not sure if that’s on purpose for security reasons, or what, but at those times I find myself having to run through my list of possible passwords I could have used, and most often that results in me having to click the “Forgot Password” option. Because I use a variety of different passwords, and because they are all fairly random, with characters, upper and lower case, numbers and spaces (where they are accepted), it can be hard to keep track. When you next change your passwords for your accounts, try adding spaces. Passwords with spaces are harder to crack! This request is a great one, because it’s going to eliminate the need to click that “Forgot Password” button! 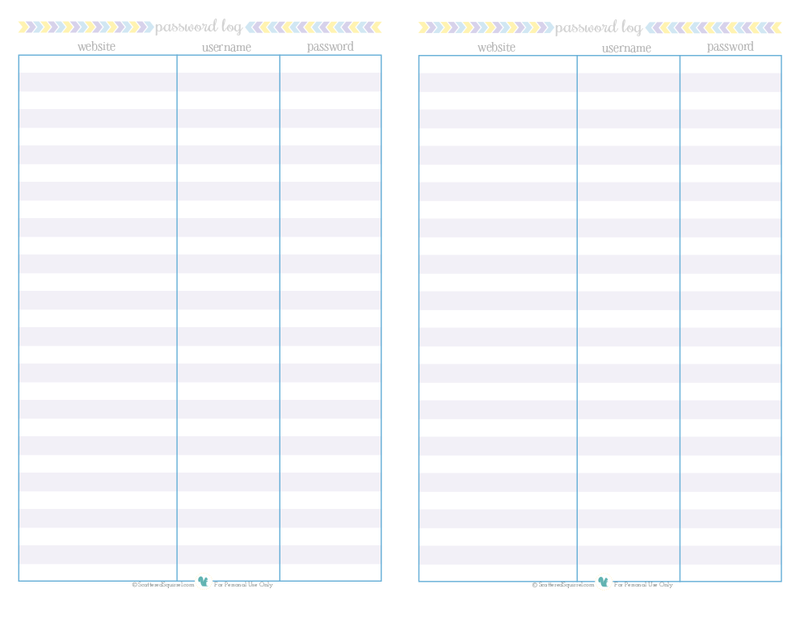 I present to you the password logs! And I didn’t forget about those of you who are using the half-size printables. These really don’t need any explanation, so I think I will just leave you with a word of caution. Please be careful where you keep this information. If you’re going to put it in your planner, keep your planner safe in public areas. The last thing you want is someone coming along and snagging all your passwords. I can’t wait to spend some time getting my passwords put onto to this, but I think I’ll wait until I get all caught up on the printable of the month requests. 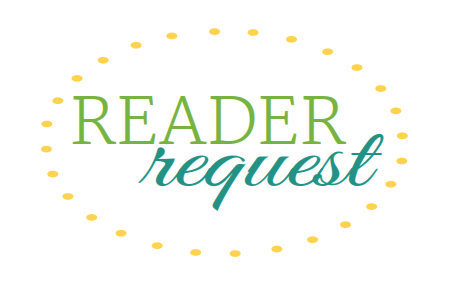 If you’re still waiting for yours, I have a batch that are ready to be emailed out today, and if you put your request in in the last two days, I’ll be getting those ready later on today! 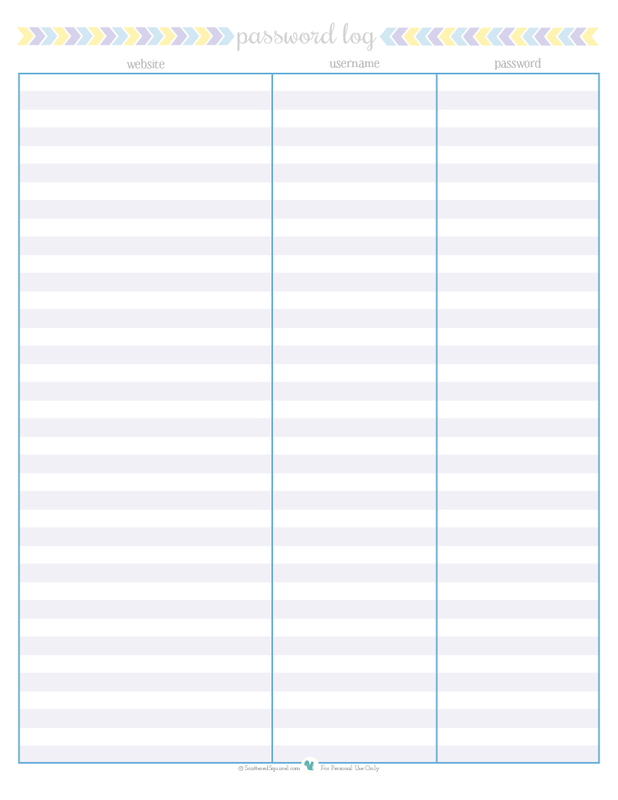 Do you use a password log? Have you found it helpful?